A few weeks ago, while standing in the grocery check-out line, I spotted the new Taste of Home Cookies recipe book. I couldn't resist adding it to my collection and so glad I did! Lemon Butter Spritz, a recipe submitted by Iola Egle of Bella Vista,AR, turned out to be a perfect recipe for my first experience using the new cookie press that I happily brought home from the Dirty Santa Game I participated in last week at a family Christmas gathering. I'm pretty sure these buttery cookies will become part of my Christmas cookie tradition after today's experience! Preheat oven to 400 degrees. 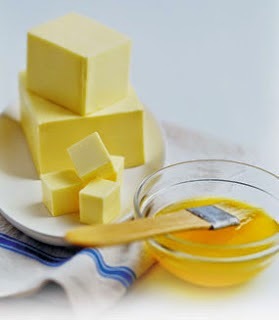 In a large bowl, cream butter and sugar until light an fluffy. Beat in the egg,lemon juice and peel. Combine flour and salt; gradually add to creamed mixture and mix well. Using a cookie press fitted with a bar disk, form dough into long strips on ungreased baking sheets. Cut each strip into 2 1/4-inch pieces (do not separate pieces). For glaze,in a small bowl, combine the sugar,cocoa,vanilla and enough milk to achieve desired consistency. Drizzle over cookies. Let stand until set.